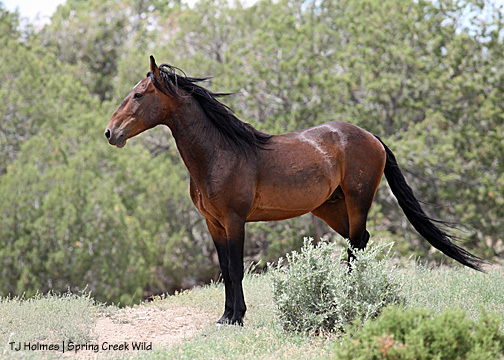 Recent media accounts have documented still more deaths of wild horses during Bureau of Land Management (BLM) roundups. 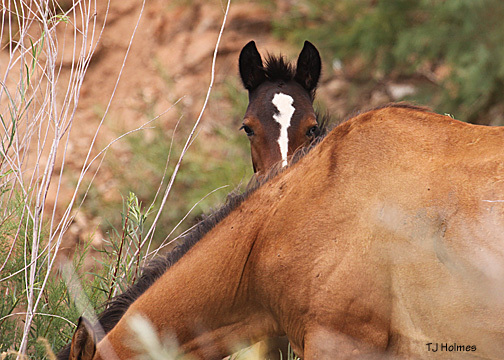 Just this month, 12 horses, including three foals, died during the Tuscarora Complex roundup in northeastern Nevada as a result of deeply flawed methods. 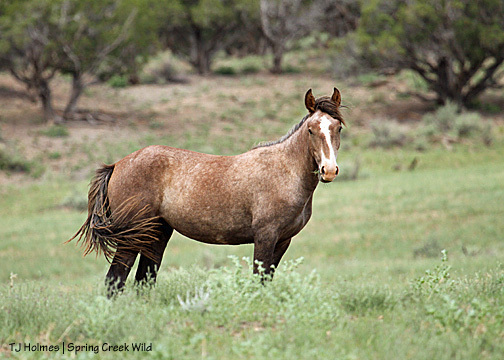 This tragedy was only the most recent in a string of reports of wild horses dying during BLMroundups this year. We are concerned by the inability of your agency to acknowledge these disturbing outcomes, change what seems to be deeply flawed policy, and better manage the gathers so as to prevent the unnecessary suffering and death of these federally protected animals. 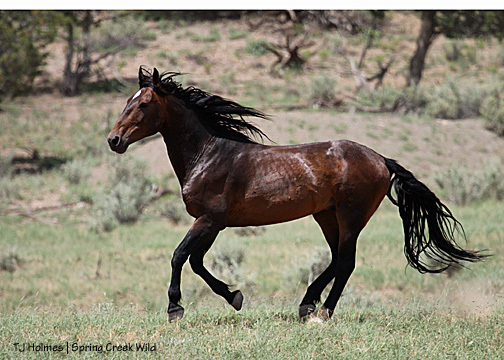 Specifically, on Saturday, July 10, with temperatures hovering near 100 degrees, the BLM, in a time-span of two and half hours, captured and corralled more than 228 wild horses after running them more than 8 miles. During this time, public observation of BLM activities was prohibited. 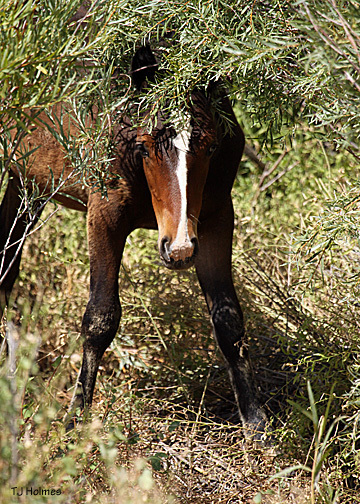 This ill-advised plan resulted in the deaths of 12 protected American Mustangs, most due to water intoxication; three of the dead were foals less than six months old. 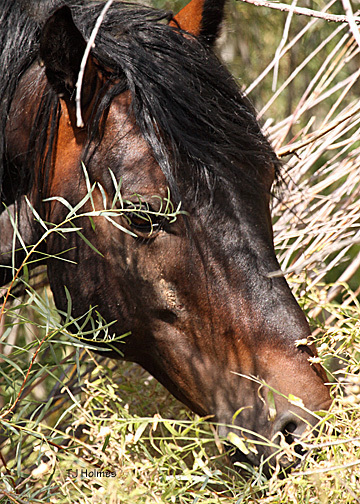 By the time the roundup was halted, 17 horses had died. While we applaud the speed with which you temporarily halted the Tuscarora roundup after these deaths, the roundup has now resumed. 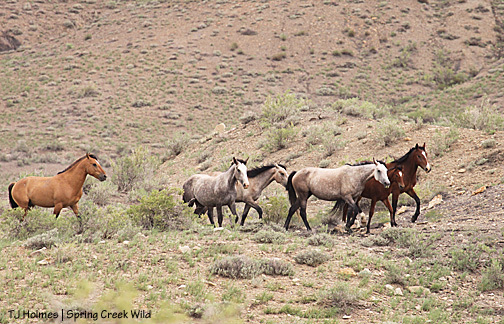 Apparently, BLM continues to bar public observers, despite a court order affirming the right to “reasonable access.” So far, 410 more horses have been gathered and, according to BLM’s own account, the death toll has risen to 21. 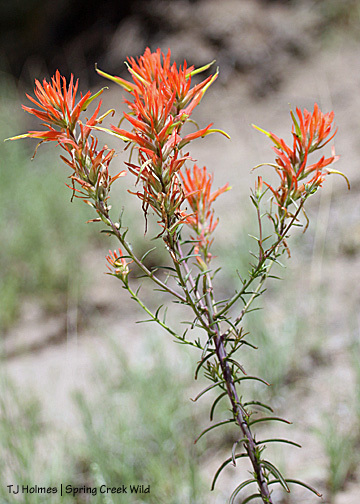 The BLM is repeating the mistakes made during the deadly round up in the Calico Mountain Complex last winter. That roundup resulted in the deaths of over 105 horses, along with the stress-induced late term abortions of at least 40 mares. 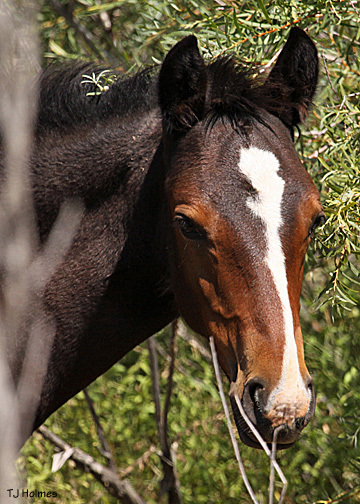 Given this pattern, and the continued threat of death and suffering to these animals, we request that the Tuscarora Complex roundup be suspended, along with any pending gathers, until the agency demonstrates that it has addressed the failings of the current program and can ensure the safety and well-being of the animals you are charged with protecting. 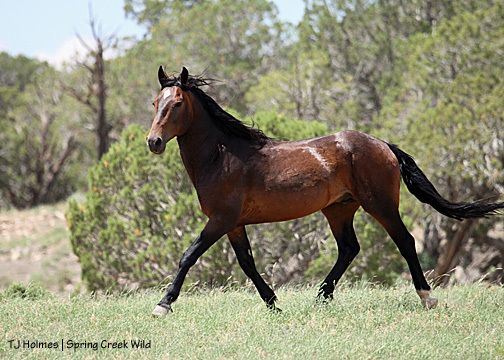 Specifically, the BLM must account for temperature extremes and the impacts of stampeding young, elderly or injured animals across long distances when planning roundups. 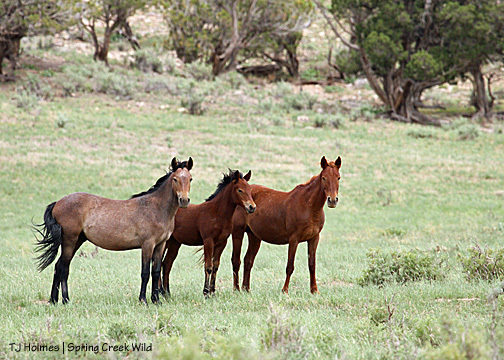 The BLM needs to ensure transparency by allowing members of the public to observe agency activities. Further, we remain concerned that roundups are conducted at great expense to the taxpayer. 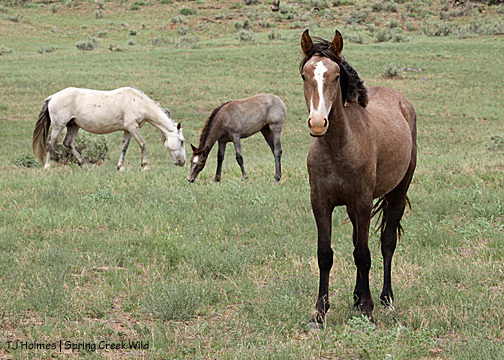 As we have pointed out in the past, BLM’s aggressive use of roundups has resulted in unsustainable increases in the number of horses in holding facilities (now at 38,000) and continues to undermine the BLM’s overall budget. Unfortunately, the frequency of roundups has only increased under this administration. 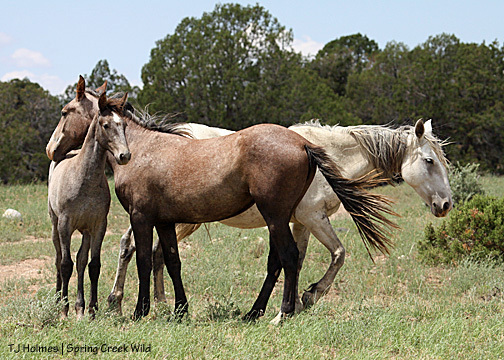 To address these and other flaws, we recommend an independent analysis of the National Wild Horse and Burro program, conducted by the National Academy of Sciences. 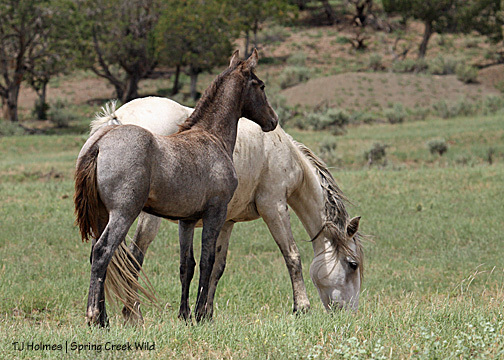 This analysis will provide a clear determination of the most accurate, science-based methodologies to estimate wild horse and burro populations, provide an assessment of Appropriate Management Levels based on the goal of maintaining sustainable herds and provide an assessment of practical, effective, nonlethal and publicly acceptable management alternatives to current BLM policies. We strongly urge you to refrain from any further action until a clear plan is in place to sustainably manage and protect our wild herds. 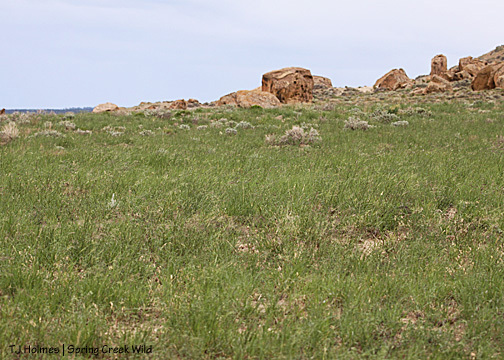 Only then can we move forward with a more informed, open and deliberate process, based on input from all who are concerned with the health, well being, and conservation of this animal which embodies the spirit of our American West. 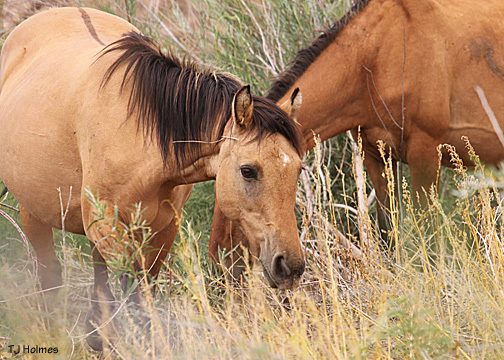 RENO, Nev. — At the urging of a bipartisan group of House members, the U.S. Bureau of Land Management is asking for an independent review of its wild horse and burro program by the National Academy of Sciences. 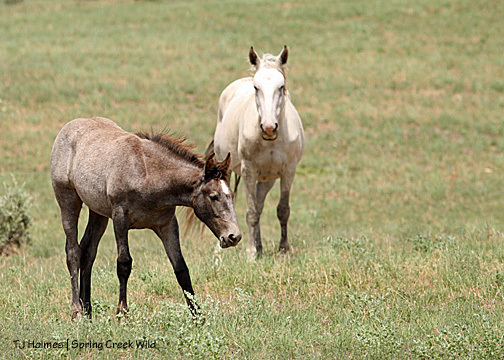 BLM officials said the two-year, $1.5 million study would determine whether the agency is using the best science available in managing wild horses and burros on Western rangelands. 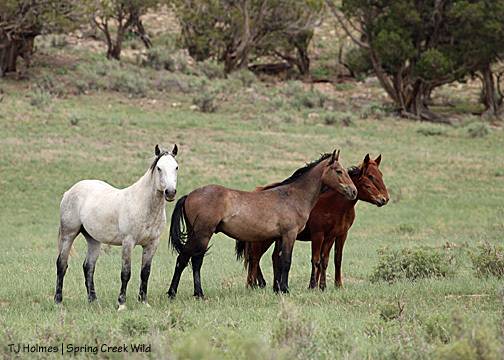 BLM managers estimate that 38,000 mustangs and burros roam 10 Western states, and half are in Nevada. The study tentatively set to begin Jan. 1 would focus on population estimation methods, annual herd growth rates and population control measures, agency officials said in a statement released Friday. 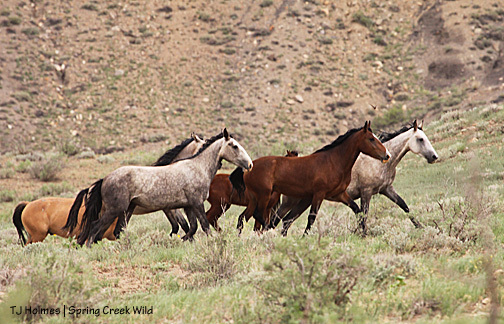 The announcement came a month after 54 House members signed onto a letter that Rep. Nick Rahall, D-W.Va., chairman of the House Natural Resources Committee, sent to Interior Secretary Ken Salazar pleading with him to halt a series of wild horse roundups under way in the West. 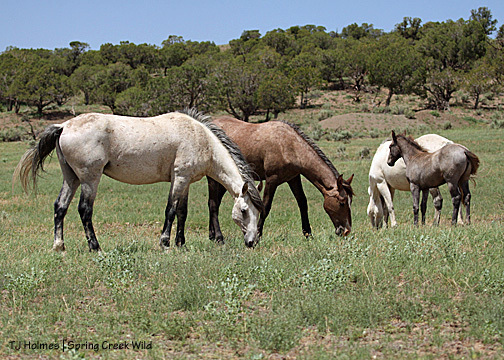 The letter recommended that the National Academy of Sciences be assigned to review the BLM’s plan to cull about 12,000 of 38,000 mustangs and burros from the range and either send them to long-term holding facilities or put them up for adoption. Titus said she was pleased the BLM acted quickly in response to House members’ request for the study. 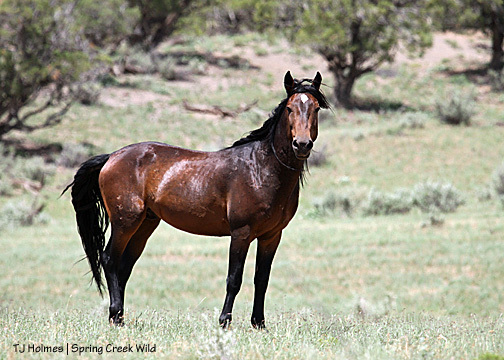 “In the meantime, I again urge the BLM to halt roundups until the failings of the current program are addressed,” she said Saturday. 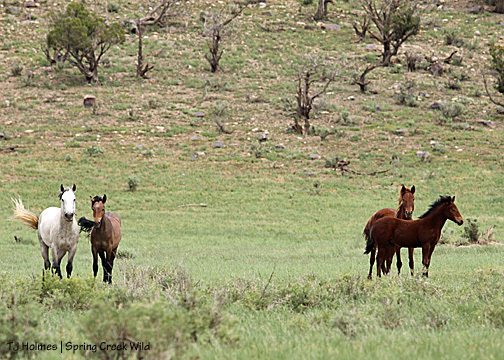 Activists said they support the independent review but only if it’s coupled with an immediate moratorium on all BLM roundups of mustangs from the range. 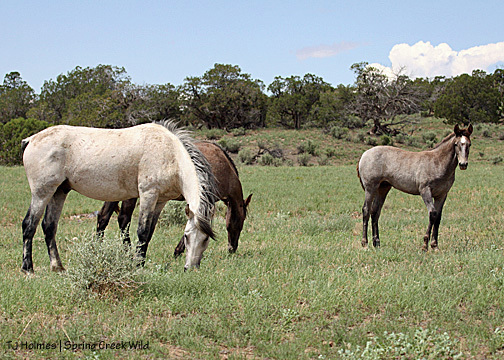 There will be too few genetically viable herds left to study at the present rate of roundups, they said. The National Academy of Sciences is a nonprofit source of scientific advice that enlists the nation’s top experts to address a wide range of problems. 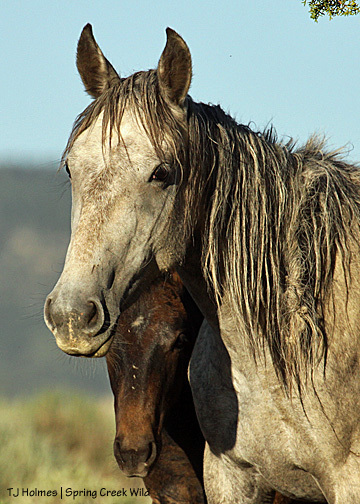 The Bureau of Land Management has asked the National Academy of Sciences/National Research Council (NAS/NRC) to make an independent technical review of the Wild Horse and Burro Program to ensure that the BLM is using the best science available in managing wild horses and burros on Western public rangelands. 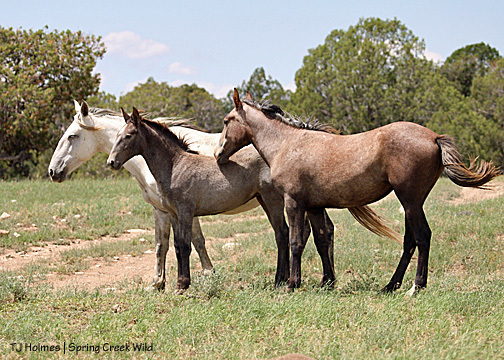 The NAS/NRC has previously reviewed the BLM’s management of the Wild Horse and Burro Program and produced three separate reports; however, these reports are now 20 to 30 years old. 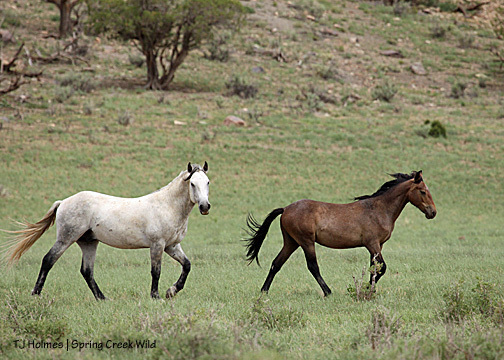 In those reports, the NAS/NRC summarized what was known about wild horses and burros and made recommendations to the BLM for wild horse and burro management, population estimation, and further research. In the proposed effort, many of the topics discussed in the earlier reports would be included, such as population estimation methods, annual herd growth rates, population control measures, and whether populations will self-limit, as well as other subjects needing new research. 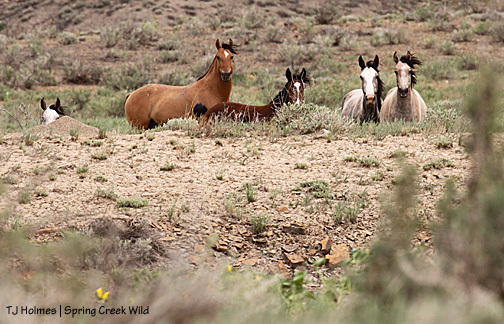 To sort through the many diverse and often conflicting opinions about how wild horses and burros should be managed, the BLM must continue to base its decisions on the best available science and involve the public in its decisionmaking process. 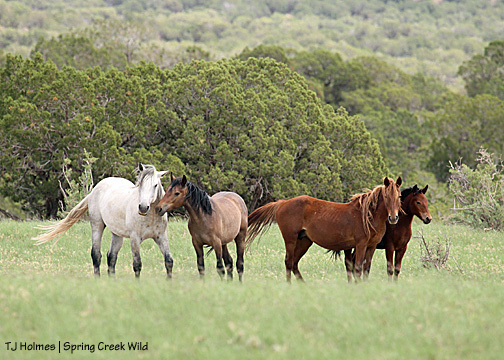 Commissioning the NAS/NRC to review their three earlier reports and the current available information and research about wild horses and burros is a first step. 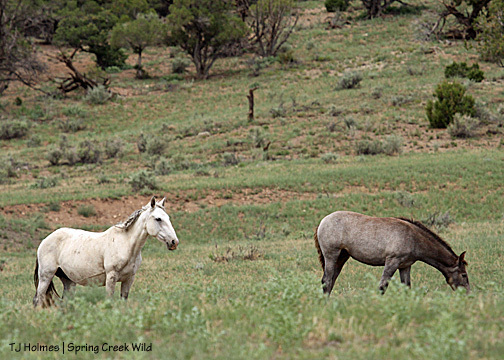 A second step is to ask the NAS/NRC to make recommendations about future wild horse and burro management and needed research. A third step is to take the NAS/NRC findings and recommendations and make them available to the public in a variety of ways, perhaps to focus groups or science forums. 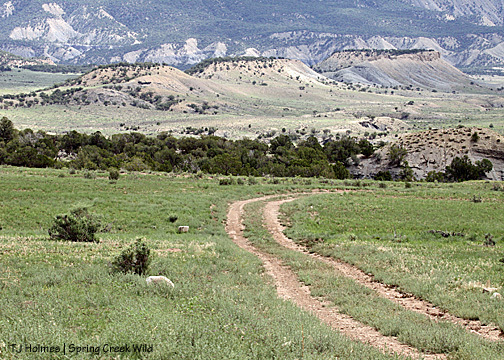 Both the BLM and NAS/NRC will negotiate the terms and outline for the research study. 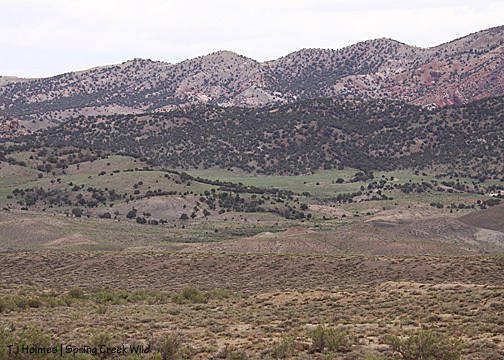 The proposed study would tentatively begin about January 1, 2011, and would cost the BLM approximately $1.5 million and take about two years to complete. Congress created the NAS/NRC to be a non-Federal, not-for-profit source of scientific advice. The NAS/NRC enlists the nation’s foremost scientists, engineers, health professionals, and other experts to address the scientific and technical aspects of society’s most pressing problems. Each year, thousands of these experts are selected to serve, without pay, on hundreds of study committees. 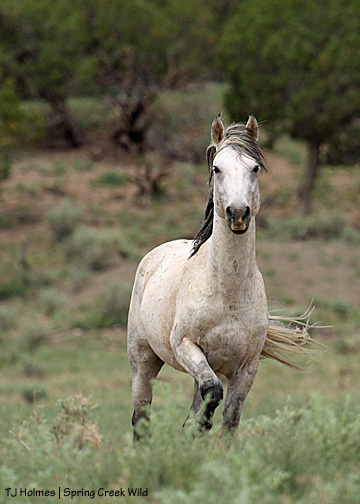 –>The Bureau of Land Management has asked the National Academy of Sciences/National Research Council (NAS/NRC) to make an independent technical review of the Wild Horse and Burro Program to ensure that the BLM is using the best science available in managing wild horses and burros on Western public rangelands. OK, where I was. 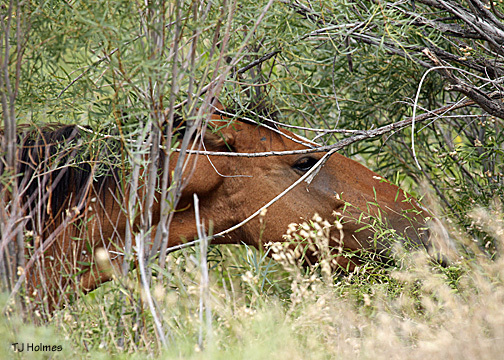 It was a too-short visit, and I know you don’t usually (ever) associate mustangs with the deepest, densest jungles. And yet, today, there I was. 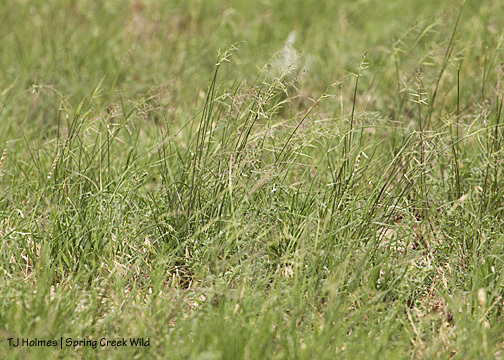 These sweet babies also call this range home. Update note: My wonderful friend is, of course, Matt Dillon, director of the Pryor Mountain Wild Mustang Center in Lovell, Wyo. 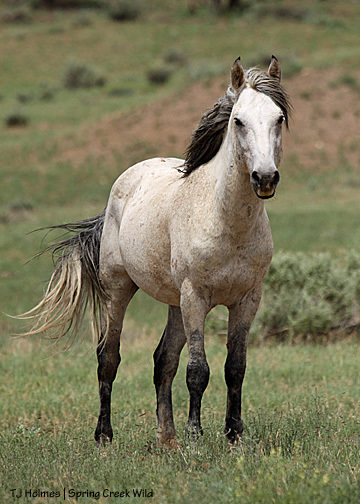 He keeps the Pryor Wild blog – was my inspiration in starting this blog – and knows the Pryor Mountain horses better than anyone (just ask him about kinship!). We also saw Blizzard’s band (one of my favorites, and I had a wonderful visit with them last fall) from a great distance (if you take a trip with Matt, you’ll be amazed at his eagle eyes! 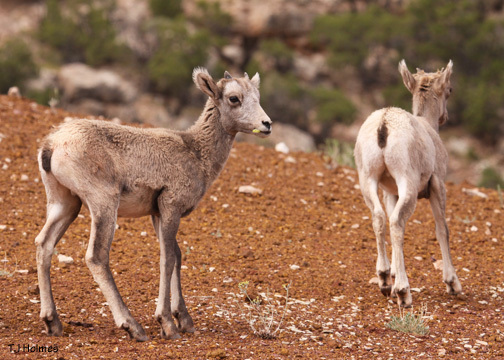 ), as well as the bighorn sheep family (two ewes, mothers of the babes in the photo above, and a yearling). I wish I’d had longer to visit! And sorrel and bay and turning-grey. Grey/Traveler’s band and Seven’s band were grazing/napping companionably close to each other when I saw them and walked out for a visit. My “goal” was Grey/Traveler’s band, and my path took me first toward Seven’s. Always a thrill to visit with these horses, as shy and wary as they are. Daddy and Ze and Spring and mama. Spring had just nursed, and Roja had just turned to watch my angled approach – Grey/Traveler’s band was to the left. Interestingly, I had nearly crossed their viewpoint on my way to the other band when Roja decided that as I was going away, it was now time for her to lead the way away as well. I think I’m growing on her. 😉 Here, Seven and Ze are walking their long-strided walks to catch up to where she and Spring wait, just a bit to the right. Every so often I get glimpses of horses that reveal their resemblance to other horses. Roja here – except her color, which she gave her daughter – is the spitting image of Molly. And look what a big, strapping boy Ze is. Good forage and less competition these last couple of years. Hold this image of Seven in your minds … wait till you see Grey/Traveler. They’re standing below the level of the foreground-ground, but I love the vision of them seeming to stand in grass up to their knees. Tell me Seven is not related to Grey/Traveler. Napping at the edge of the road … Terra loves her baby sister. Grey/Traveler with his girls – he does throw beautiful babies, doesn’t he? Doesn’t he just shine with vim and vigor?? Houdini was long gone by now, and he’s stopped to watch. Looks almost wistful, doesn’t he? His trend has been to seek company … then shun it again … then seek it … for reasons known only to him. Loved-loved-loved seeing him … bittersweet to see him alone again. He was with Twister and Cinch the last time I saw him, as they were kind of hanging out with Hollywood’s band. Those youngsters – Twister and Cuatro now – could learn a lot from this elder statesman. The road in isn’t as bad as I expected – though there’s evidence one poor person got stuck: s/he left staves in the road from where s/he dug him/herself out of the mud. But it is cut in numerous places where hard-rushing water flowed in mean little rivulets from high to low. When the road is dry, you may not need four-wheel drive, but you definitely want high clearance – and good shocks. After waiting out a second wave of rain (! ), I went cautiously back into the basin. 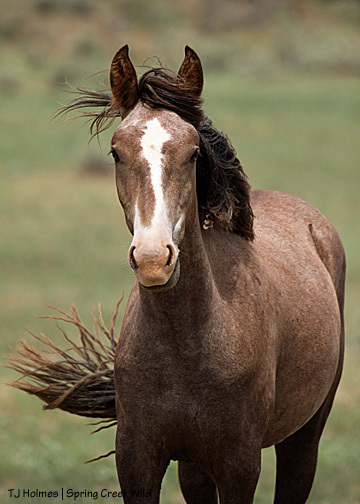 From a long way away, I saw horses running – Comanche’s had joined Hollywood’s – ‘Nona was leading the whole group, playing ahead of mama Kestrel. Kestrel and Winona in the lead, followed by Comanche in foreground, center. Piedra and Tenaz almost behind the greasewood behind Kestrel, Hollywood and Sage, Baylee and Iya. I gained a higher vantage, but I couldn’t tell that they were running *from* anything, and they were running basically toward me (in the Jeep), so I wasn’t the cause of their – dare I say it – joyful celebration?! They were close to me now, so I stopped and waited for a while – I thought I had an idea where they were going, but I was wrong. 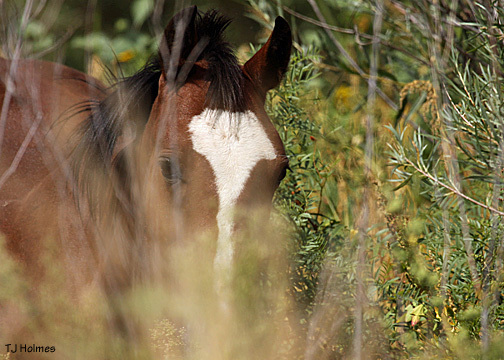 When I thought I’d given them enough time, I eased up the road, looked all around … and finally spotted them way out “yonder” … and that’s how I found out Cinch had Liberty. They settled in a big “valley” full of – you guessed it – more green, and that’s where they stayed the rest of the day. Twister and Cuatro were even farther beyond them, but they were nearly hidden, and I didn’t know at that point who they were. I thought I’d seen other horses that I thought may have been Hook’s band, but as it turned out, Hook’s were one of the few horses I didn’t see (along with David’s little family and Bruiser). This morning, when the sun broke through the cloud bank and turned the basin into a shimmering emerald jewel, I thought I’d been transported to Ireland. It is THAT green out there, people. 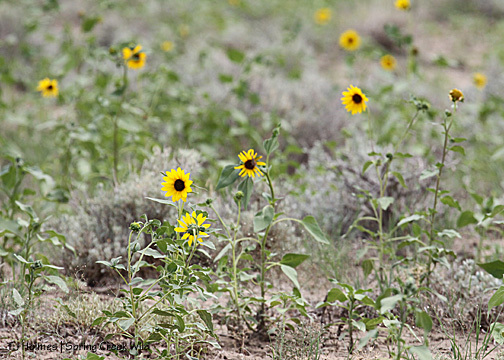 I had to fend off mosquitoes while photographing Chrome’s band, and mushrooms are growing in this crazy newly-wet beautiful Spring Creek Basin, not to mention one of the invasive types of “sunflowers.” Missing the paintbrush this spring? 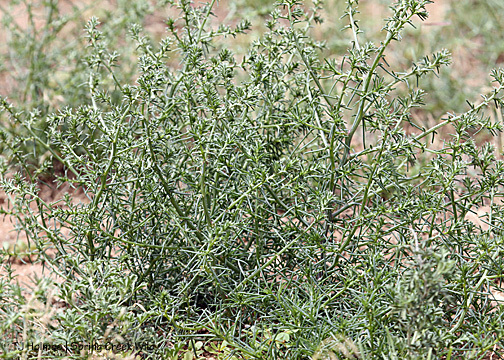 Not to worry, now they’re growing in bushes 2 feet tall with dozens of “flowers” on every “stalk”! 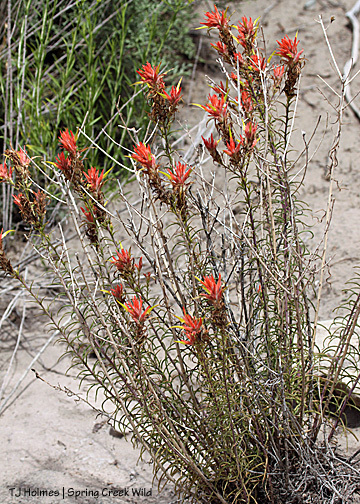 I’m pretty sure they’re paintbrush, but I don’t think I’ve ever seen it grow like that before, and certainly not in the basin. I wish I could describe it in all the exquisite detail it deserves, but not even my photos come close to illustrating the green-tinged curves of hills, the grass in bunches the horses seem lazily content with – like it will last all the rest of the summer – the whole marvelous wonder of it all. 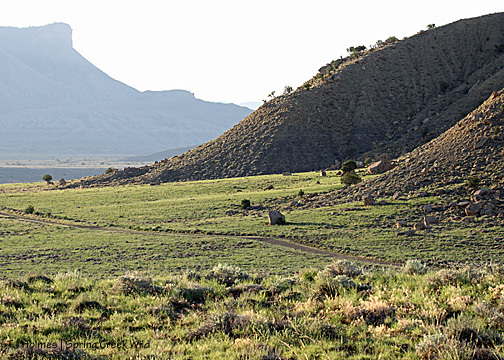 Looking south from the northwestish – Filly Peak at far right. Looking up to the far northwest, near Klondike Basin. 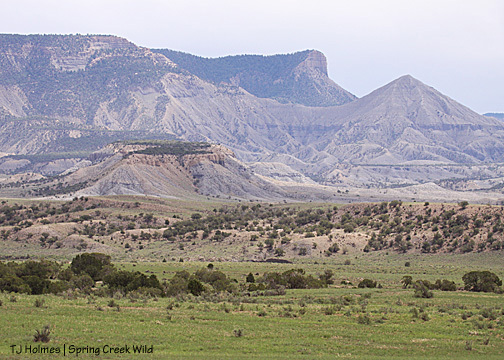 From the northwest looking southeast: unnamed promontory and McKenna Peak (“pyramid”) at upper right. You know it’s crazy when I take pictures of actual grass! 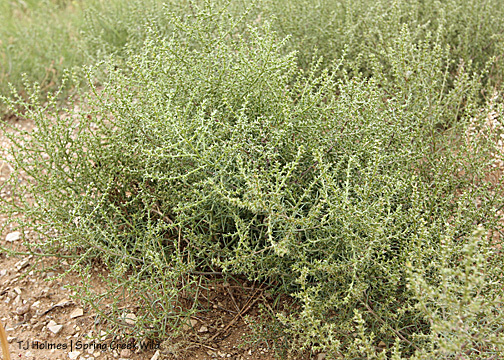 I think this is what someone told me will become tumbleweeds. All of that, and two ponds are still dry. 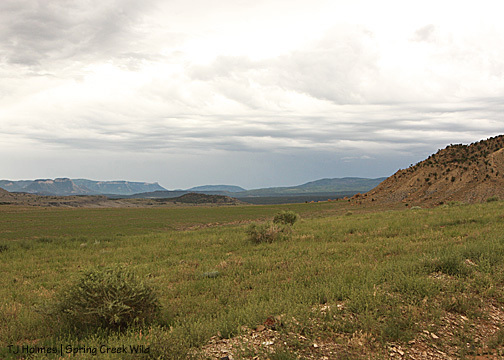 The kicker is that they’re not even on BLM’s list of ponds to dig out this year – hopefully, they can. 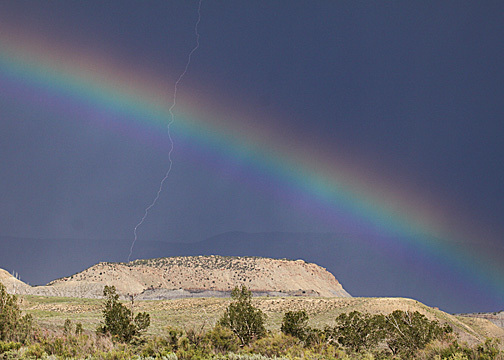 The day’s miraculous forecast was for sunshine (been “thunderstorms likely” for three weeks now), and we’re in the middle of monsoon season, which happens every year in Colorado, and I had to leave the basin three times for rain – the third time finally kicked me out for good near the end of the day. Gorgeous with a touch of danger. That’s Filly Peak from the outside looking in when I had to leave for good in the evening – life-giving rain filling all the background, which is Spring Creek Basin to the faint ridge outline in the background – covered by a wildly vibrant rainbow (even with a polarizer hastily attached, the colors here aren’t nearly as magnificent as they were in person … or maybe it’s my “rose-colored glasses” … ;)). And do you see the lightning strike? Yes, OK, so it could strike a tree (or worse), but talk about lucky: That’s handheld. It’s not nearly as shocking (sorry) as it really was, either. Carrying the theme … 🙂 Here’s a little girl who makes it easy to celebrate what’s right with the world! Gemma – daughter of Grey/Traveler and Houdini. I don’t think I posted this photo previously, though I did post some from this visit, about a month ago. 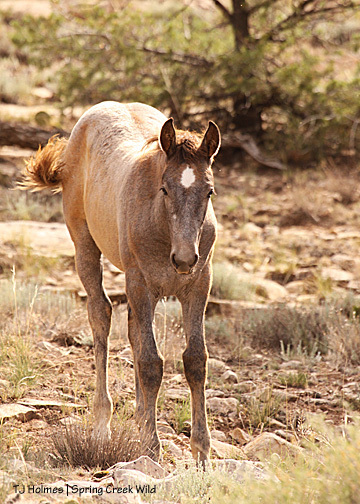 The fastest-greying foal I’ve seen since I’ve started the documentation. Love her curiosity and big, bright star!